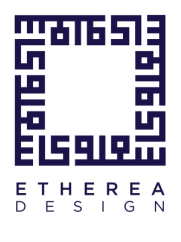 We at Etherea Design are passionate about the pursuit of ihsan (spiritual excellence) in the work that we do. We can't promise you it'll be sunny tomorrow but we do provide a design service and we think we do it pretty well. One size rarely fits all - your work will have specific needs, based on the proposed usage of your work, the style of the book. Rather than have pre-planned designs, we work with you to ensure that whatever we provide for you reflects the nature of your work. "What can I expect from you?" You can expect someone who has over 4 years professional typesetting experience, working in an international firm to dedicate time to making your work look as good as it can. We use Adobe InDesign and Illustrator for our work, which is industry-standard. Good quality work cannot be achieved with Microsoft Word. Believe me, we tried. Like any artist that's worth their salt, we're perfectionists. Our work is the result of hours of attending to details that would pass most people by. Although we have our preferences for fonts and design, we will always keep you up-to-date to make sure you're happy with our progress. Our prices are very reasonable and our timescales are realistic. Most of our work comes from repeat customers. "Why Etherea Design? And what's the logo all about?" 1. extremely delicate and light in a way that seems not to be of this world. This is exactly we're trying to achieve here at Etherea Design. Your work is trying to convey something other-worldly. If we can build on that by working this into our work ethic and design, then we can make something consistent that draws your reader or viewer to something higher. Our logo (which we designed) comes from the Arabic word samawi, which means something heavenly and lofty. It's written in Kufic script, a old style of Arabic calligraphy originating in the 7th century (thanks again, Wiki).